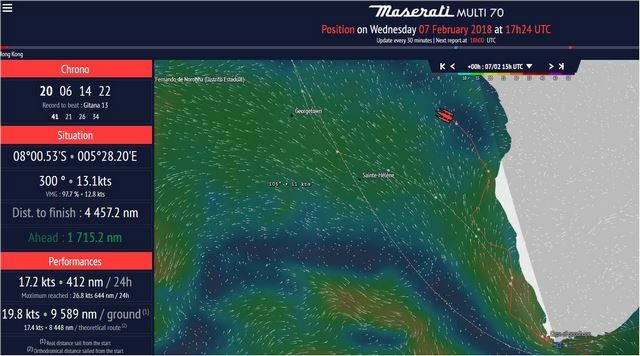 Less than 4.500 nautical miles to the finish line for Maserati Multi 70: at 17.24 UTC ranking, the cartography marks 4.444 remaining miles until London, on the shortest theoretical route. 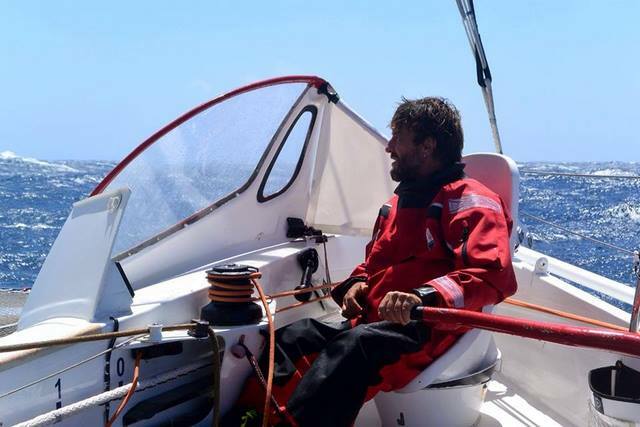 This is precisely the option of the shortest route that skipper Giovanni Soldini has decided to take to cross the Equator and its doldrums. Maserati Multi 70 sails off the coast of Angola, at 07 ° S of latitude, always with light southern winds and with a 1,7229 miles advantage on the record, after 20 days of navigation.